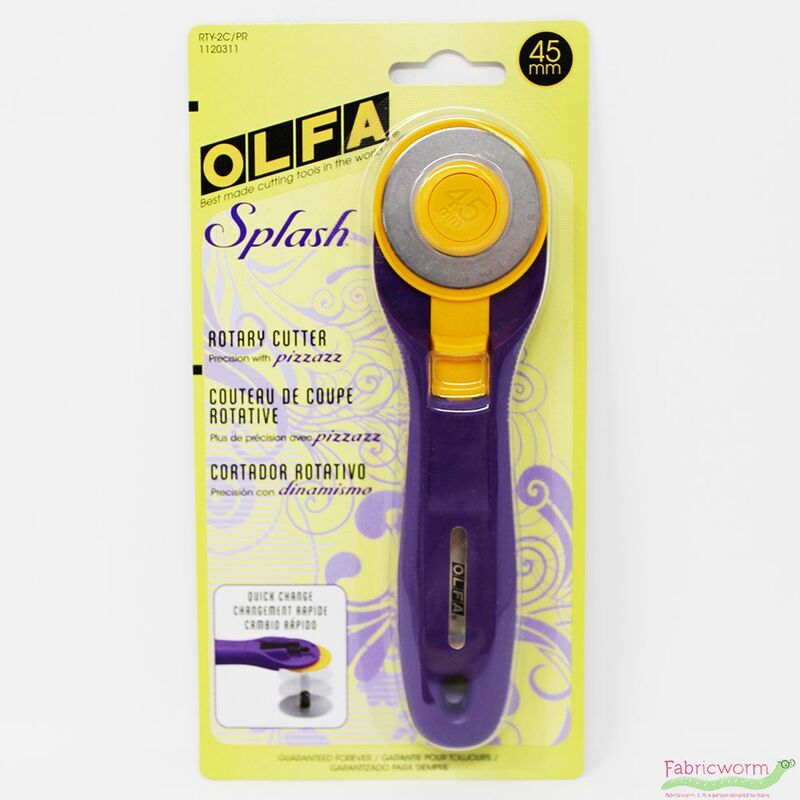 New fashionable & quality Splash cutter now in Emperor Purple. Quick blade change mechanism; no washers or nuts to keep track of when changing your blade. Contoured handle for secure and comfortable handling. Blade cover for additional safety Integrated grooves at head of cutter help prevent finger slippage. OLFA handles are guaranteed for life.